In a historic first, the U16 SA Rugby Grant Khomo Under-16 Week will welcome a new team this year, the Iqhawe Impi, following the addition of the side comprising of players selected from the Carfind.co.za Iqhawe Week from non-traditional rugby schools. The Carfind.co.za Iqhawe Week for Under-15 boys has established itself as one of the top development competitions for players from rural areas and non-traditional rugby schools over the last six years, and their inclusion in the tournament will serve as a huge boost for the players and for transformation in South African rugby. 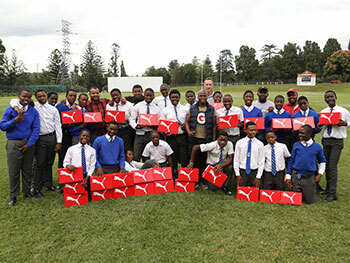 The U16 SA Rugby Grant Khomo Week will run concurrently with the U13 SA Rugby Craven Week at Rob Ferreira Hoërskool in Mpumalanga from 24 to 28 June. The Iqhawe Impi – which will be made up from players who were identified by the Carfind.co.za Iqhawe Week selectors as the top players in each position last season – will increase the number of participating teams in the U16 SA Rugby Grant Khomo Week to 20. “We are delighted that the Iqhawe Impi accepted our invitation to participate in the Grant Khomo Week this year,” said SA Rugby CEO Jurie Roux. “The Carfind.co.za Iqhawe Week is a fantastic development tournament and an important cog in our Youth Week and transformation structures as it showcases grassroots rugby at its best. “The quality of the tournament over the last six years and the skills of the players coming through those ranks has been impressive, and the fact that more than 63 players graduated from the tournament to the Grant Khomo Week in the last few years is evidence of that. 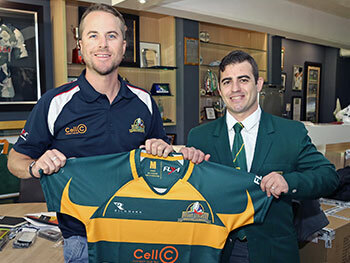 This is largely thanks to all the work behind the scenes from the SA Rugby Legends Association (SARLA). 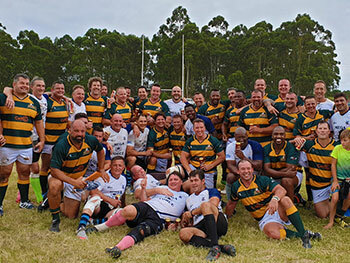 SA Rugby Legends Association CEO Stefan Terblanche was equally delighted about the inclusion of the team in the popular SA Rugby Youth Week tournament and said: “It is very rewarding and enjoyable for SARLA to grow the base of rugby players at grassroots level, and to see the full pyramid complete and in place, is fantastic. South African Schools Rugby Association (SASRA) chairman Noël Ingle also lauded the decision and said: “SASRA are proud to be part of the initiative to include a representative side chosen at the Iqhawe Week to play at the prestigious Grant Khomo Week in 2019.